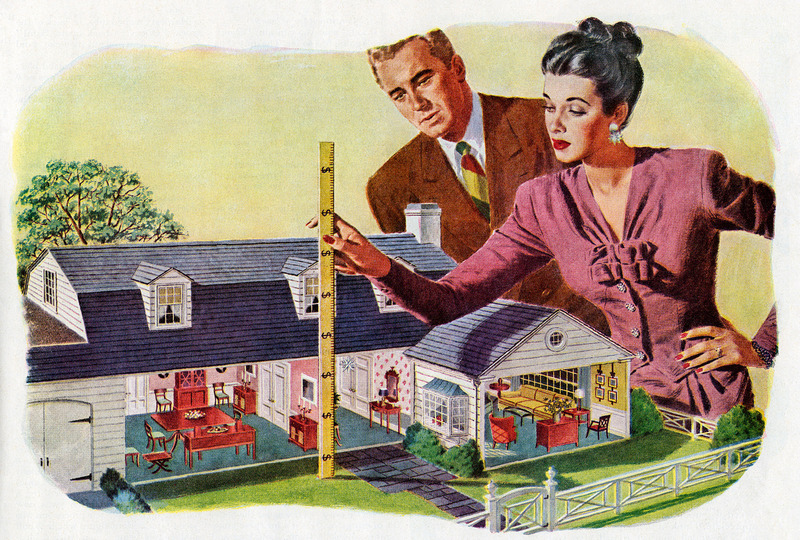 When is the right time to “rightsize” to a home that’s better suited to your needs? Well, if you’re in the 60+ crowd (or have a parent in that demo), there are plenty of things that can go into that decision. Maybe you’re finding yourself in a (more or less) empty nest. Maybe you want to (finally!) get serious about retirement planning. Maybe all that maintenance on your current home is more than you can or want to handle. Or, heck, maybe you just want to simplify your life. Whatever the scenario, you’ll find that you have plenty of company. The U.S. Census Bureau’s population projections forecast that the number of Americans aged 65 and older will more than double by 2030, increasing from 35 million in 2010 to an estimated 72 million. Of course, getting older doesn’t mean you have to slow down or compromise on the lifestyle you want. It just means you have to make informed, calculated decisions on how best to achieve it. And that’s especially true when it comes to homeownership. Most folks come to South Florida for the warmer weather and amenities, and we’re seeing more seniors who are still working—because they enjoy it or want to have an extra cushion in their budgets. The first move are retirees looking to enjoy their freedom, so they come down to Charleston to find active adult communities where they meet like-minded people that they can befriend easily. The second comes after retirees have enjoyed their freedom for 10 years or so and they decide to move one last time to live closer to family to have the physical, emotional, and spiritual support they need. Q: What should my buying budget look like? If you’re planning to retire soon or have already entered those coveted golden years, you’ll likely be on a fixed income. Downsizing might net you a decent profit, especially if the home you’re buying next costs considerably less than the one you’re selling. Consider other expenses as you age: medical bills, health and life insurance, travel, estate planning, final expenses, and home maintenance. The common rule of thumb: Spend no more than 30% of your monthly income on housing. But in theory, it should be a lot less if you’re downsizing. For most homeowners, the answer is yes. This is if they’ve held on to their properties long enough to have positive equity that will be sizable enough to put a large down payment on their next home. Unless you have a significant amount of debt to pay off, chances are you’ll see enough profit from your sale to buy your next home outright or bring a sizable down payment on closing day. Most of the inquiries Haigh receives are from retirees from the Northeast who are looking to relocate to the South. A majority of those downsizing buyers have a winning hand in bidding wars since they walked away with a profit on the sale of their old home. They have the funds and solid credit history to pay all cash or provide a large down payment. Q: Will I be able to find another home that’s affordable in a seller’s market? OK, this is where things might get tricky. In some fast-paced markets (such as Denver or San Francisco) where soaring home prices show no signs of letting up, you might have a tougher time. If you’re relocating from a pricier part of the country such as California or the Northeast for states such as Florida or Texas, however, you should be in a better bargaining position than first-time home buyers. Sellers who have the financial means to buy their next home first before selling their current one. We recommend they take out either an equity line of credit on their current home or a home equity conversion mortgage to finance their purchase, then pay off the loan when they sell their former home. Since we have low inventory here in Charleston, buying their next home first gives my clients control over finding the perfect property instead of being rushed to find whatever happens to be on the market after their house is under contract. After you’ve answered these questions and feel confident about making your next move, find a Realtor who can help you determine what your current home is worth and what market conditions are like in the town you want to relocate to.